SPARKLE is a very safe, non-toxic, concentrated liquid that greatly retards the growth of bacteria, fungi, yeasts, and other pathogens in drinking water. 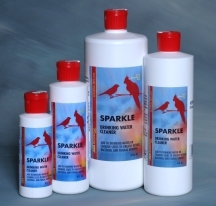 SPARKLE is ideal for use when soaking seeds keeping water sparkling clean and hygienic. Add 4 drops per 8 oz. of drinking water, or 8 drops per 16 oz of drinking water. Use for young and adult birds daily year round. 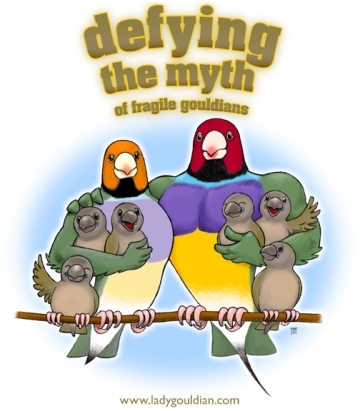 Safe for use with breeding birds. Keep container closed before and after use. Store in a dark, cool and dry place. Safe to use with all pets including birds, dogs, cats, rodents and reptiles.